Left to right – Lohn Foundation Founder/President & Director Jack Kowarsky, Mr. Sze Ho and Kitty Lui, Georgina Kehler and Sharon Perry of Sharon Perry & Associates, Chartered Professional Accountant at the 2018 Donor Appreciation Dinner (missing from event Brian and Beverley de La Mothe Family Foundation, Kelly & Glen Hobbis and Pon Yon’s Dai Society). 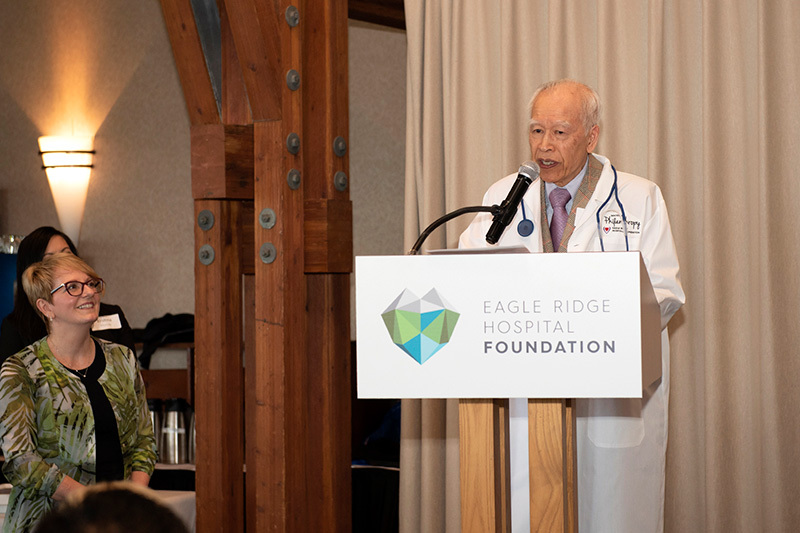 Each year, Eagle Ridge Hospital Foundation (ERHF) recognizes supporters who have cumulatively donated $100,000 or more to advance patient care at Eagle Ridge Hospital. In recognition of this outstanding milestone, ERHF recognizes these donors with the prestigious Doctor of Philanthropy Award. 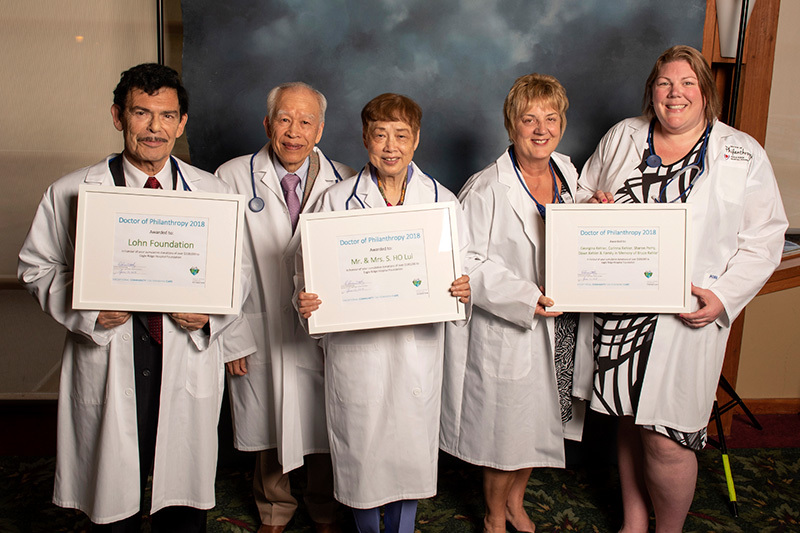 Award recipients were presented with their own physician lab coat, stethoscope and official recognition certificate at our Donor Appreciation Dinner that took place earlier this month at Westwood Plateau Golf & Country Club. Congratulations to all of the 2018 Dr. of Philanthropy recipients for helping to transform healthcare in our community. 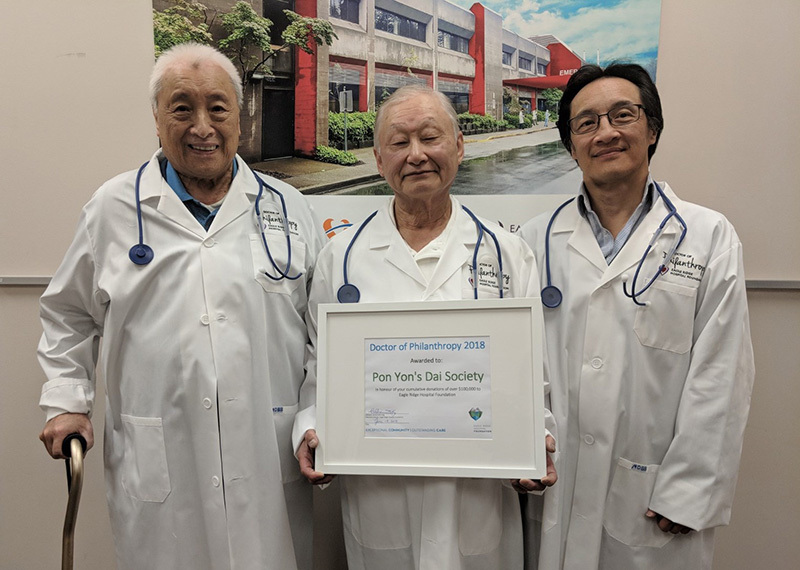 From left to right – Eddy, Ken and Wayne, representing the Pon Yon Dai Society, receive their award at the Eagle Ridge Hospital Foundation office. 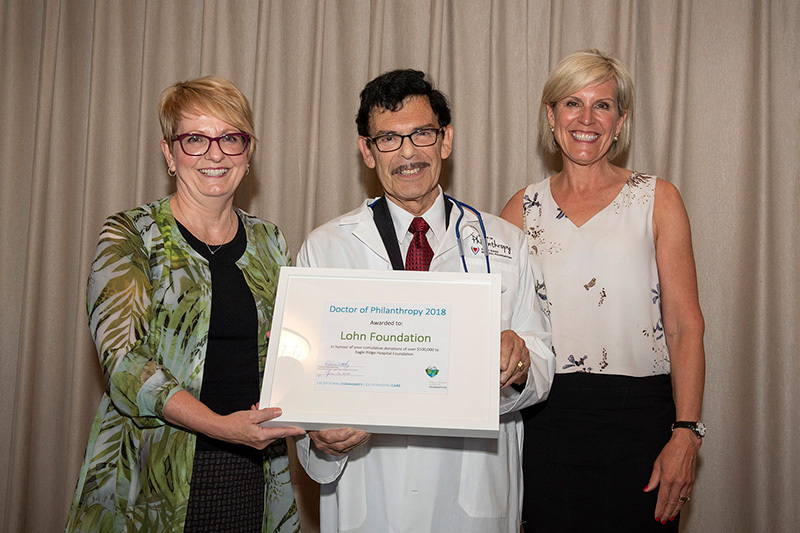 Lohn Foundation Founder/President & Director Jack Kowarsky (middle) with Charlene Giovannetti-King, Executive Director of ERHF (left) and Alison Johansen, ERHF Board Chair. 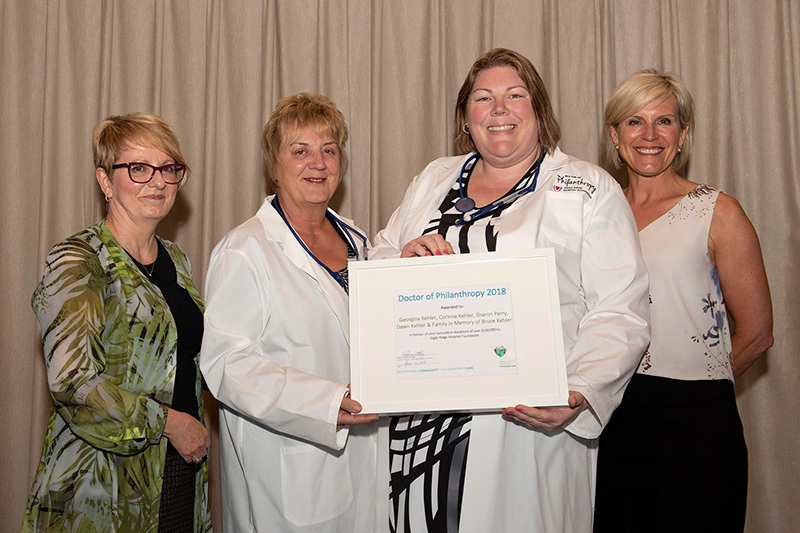 Georgina Kehler (second from left) and Sharon Perry of Sharon Perry & Associates, Chartered Professional Accountant (third from left) with Charlene Giovannetti-King, Executive Director of ERHF (left) and Alison Johansen, ERHF Board Chair. Sze Ho Lui shares his story with dinner guests after he and his wife Kitty receive their Doctor of Philanthropy Award.